With the release of Android 5.0, our favorite mobile operating system has become 64-bit ready. Hardware used in some recently released mid-range devices like the HTC Desire 510 is already capable of processing 64-bit code. One of the main advantages of 64-bit computing is the ability for individual processes to address 4 GB of RAM and more. All top smartphones run 3 GB of RAM, but soon most flagship phones and tablets will have 4 GB of RAM. This will undoubtedly be spurred along, as Samsung has just recently begun production of 8 gigabit (1 Gigabyte) LPDRR4 memory chips designed for mobile devices. These new 8 gigabit (1 Gigabyte) chips are produced at a 20 nm microarchitecture. These chips will be able to process the data faster and consume less energy. The RAM’s throughput speed will increase to an impressive 1.2 gigabytes per second, which is in effect faster than older generation DDR3 modules in traditional desktop computers. Production of smaller 2 and 3 gigabit versions of these chips also begun earlier this month. According to Samsung, 2 Gb chips use 40% less power than the LPDDR3 chips already in use in publicly available smartphones. 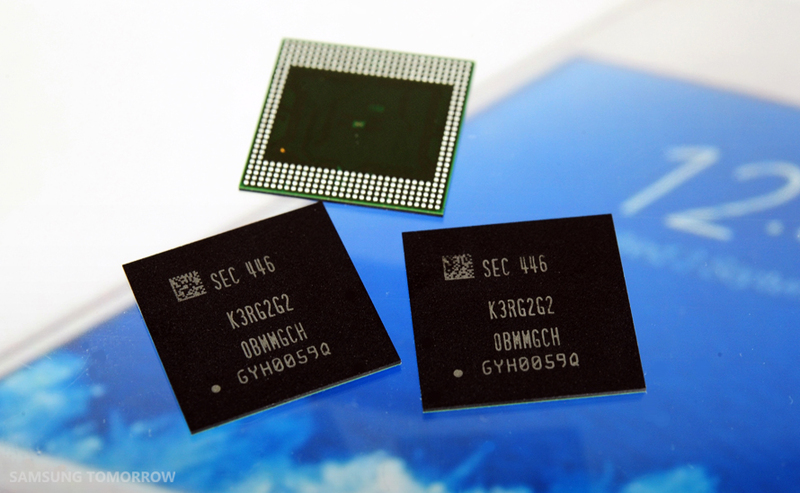 These new 8 Gb chips will start to leave the factory early in 2015. It’s very likely that we will start seeing flagships with 4 GB of RAM popping up in Barcelona at Mobile World Congress 2016 in early February. OEMs can start to stretch their muscle thanks to higher density RAM modules and a 64-bit architecture. We can also be sure that this increased RAM size will definitely be a factor that is heavily emphasized in commercials.